A frigate is any of several types of warship, the term having been used for ships of various sizes and roles over the last few centuries. 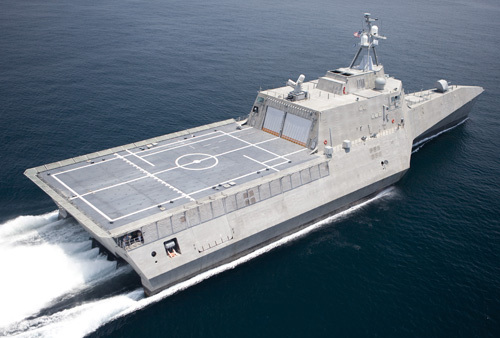 Some new classes of ships similar to corvettes are optimized for high-speed deployment and combat with small craft rather than combat between equal opponents; an example is the U.S. Littoral Combat Ship (LCS). By 2019, all Oliver Hazard Perry-class frigates in the United States Navy are to be replaced by the LCS. While the LCS class ships are smaller than the frigate class they will replace, they offer a similar degree of weaponry while requiring less than half the crew complement and offering a top speed of over 40 knots. A major advantage for the LCS ships is that they are designed around specific mission modules allowing them to fulfill a variety of roles. The modular system also allows for most upgrades to be performed ashore and installed later into the ship, keeping the ships available for deployment for the maximum time. Thrustmaster of Texas has provided the secondary propulsion equipment (hydraulic retractable azimuthing) thruster to the USS INDEPENDENCE (LCS 2) and to the CORONADO LCS, we are also announcing the receipt of an additional order from Austal for two retractable hydraulic thrusters for LCS 6 and LCS 8. LCS 6 will be named USS JACKSON, and LCS 8 will be named USS MONTGOMERY. 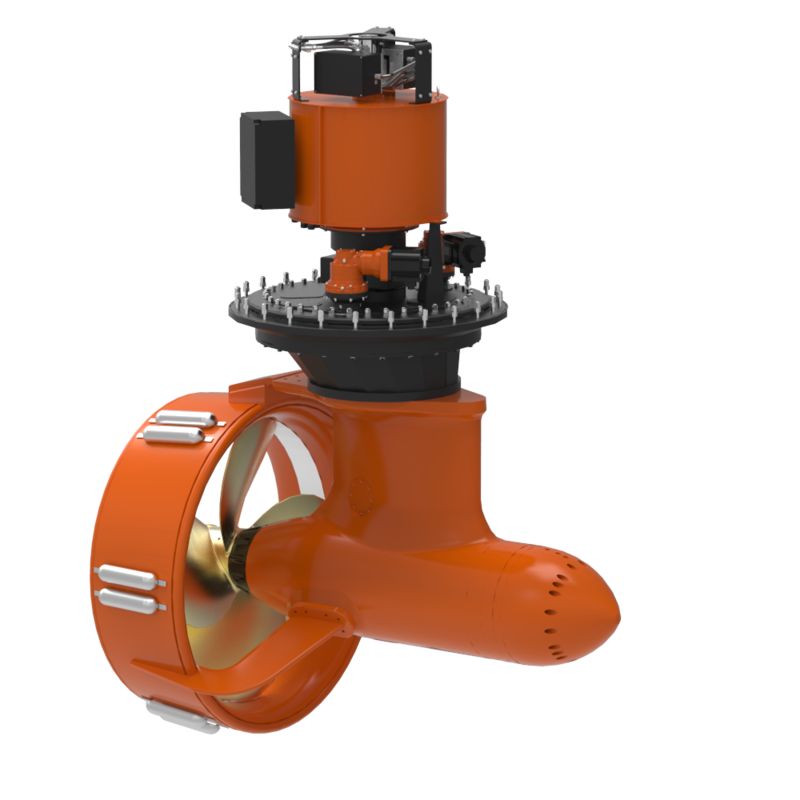 The retractable azimuthing thruster gives the ship’s captain more maneuverability at low speeds and provides a second-chance propulsion system during combat. Use of the SPE allows the ship to loiter with minimum fuel consumption at low speed and low noise signature.